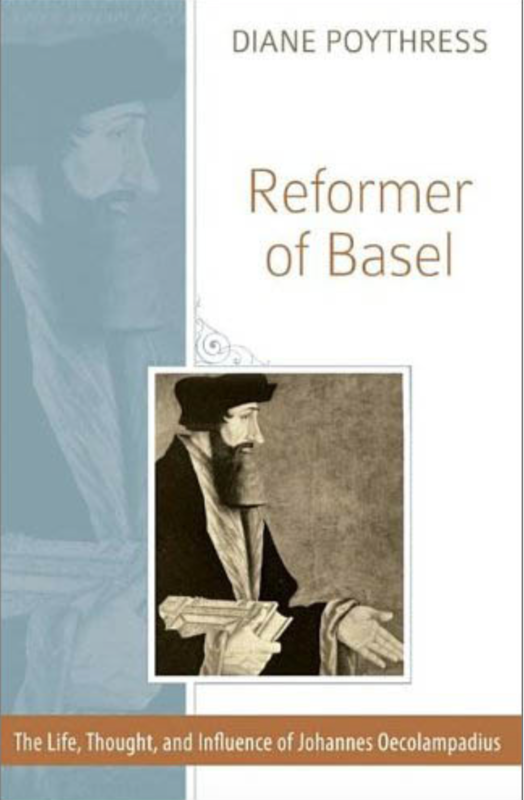 In 2011 Reformation Heritage Books published Diane Poythress's book Reformer of Basel: The Life, Thought, and Influence of Johannes Oecolampadius, which was a condensation from her doctoral dissertation, “Johannes Oecolampadius’ Exposition of Isaiah, Chapters 36-37,” Ph.D. dissertation, Westminster Theological Seminary, 1992. Reformation Heritage Books has now generously consented to give her permission to post it online (click to download PDF). Oecolampadius was the principal Reformer in Basel, Switzerland, in the first generation of the Reformation. He wrote wonderful, insightful, edifying commentaries, which have never been translated. I enthusiastically recommend the book, which gives an excellent introduction to the person and his work.